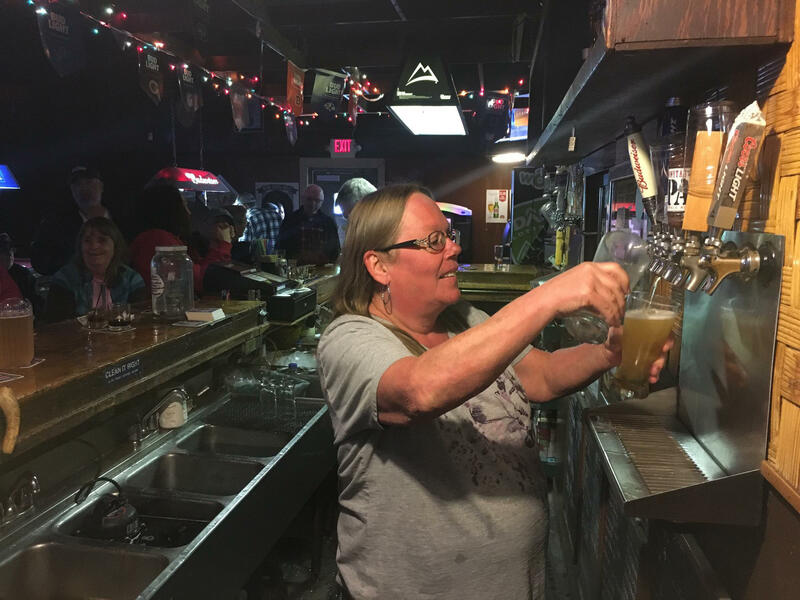 Without a high school degree, bartender Tammy Wood at first didn't know what she'd do without her job at Turner's. Idaho is the fastest-growing state in the country. Utah is close behind at number three and Colorado made the top 10. A lot of that growth is built on changing economies as much of the region moves away from coal and gas toward new industries like technology, recreation and healthcare. This shift means lost opportunities — as well as new ones. Wood is experiencing both. 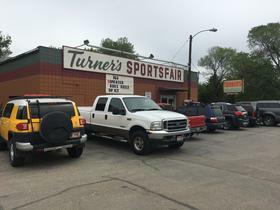 Turner’s Sportsfair is your typical neighborhood dive bar. There’s a lottery game, a pinball machine. The faint scent of stale cigarettes clings to the old bar stools and pool tables. “The bar is all marred up from tequila slammers back in the day," says Wood. Turner’s celebrated more than 70 years in business on Saturday with a BBQ and potluck. Woods' regulars walked up to her with hugs and tears, sharing memories about rowdy parties back and signing T-shirts to remember their favorite neighborhood hangout. Wood says she’ll miss her people here. She tells the story of how she walked into Turner's when she was 19 and never left. She’s now 55. The joint bar and tackle shop is in a neighborhood seeing big change. An intersection expansion to deal with increasing traffic displaced Smoky Davis, a local meat shop. Upscale restaurants ike Vincenzo’s Trattoria are moving in among the burger joints and donut shops. A few months ago, owners of Turner's put the business on the market. It didn’t take long for the property to sell. It was a shock to Tammy Wood. Bartending is all she knows. “I can’t even imagine anything different,” says Wood. She worries over her options. Wood never got her high school diploma. Thirty-five years ago, that wasn’t abnormal. You could still earn a decent living if you dropped out of high school. And Wood says, working at Turner's was its own kind of education. First of all, she learned lots of patience. She also became a really good listener. Today, much of our region’s high school graduation rate is still below the national average. 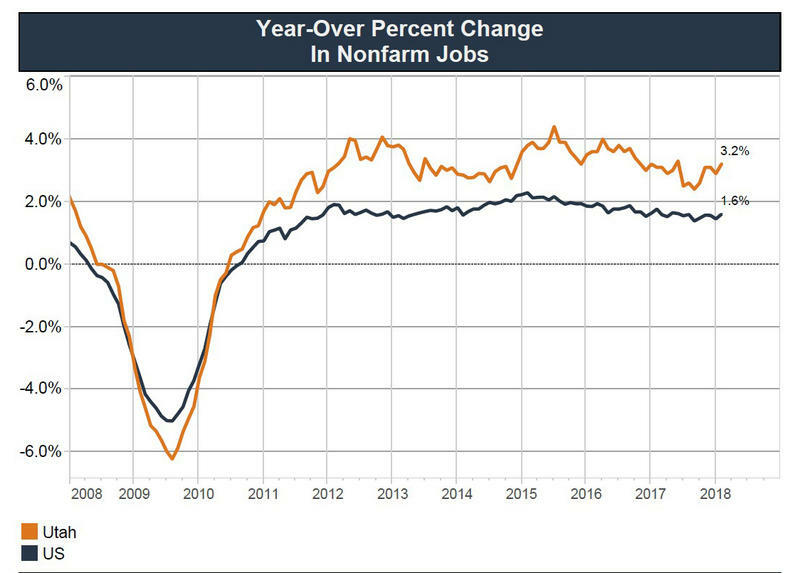 But the employment market has changed. Most jobs require at least a high school degree. Without one, you’re not likely to make more than $520 a week. And rent, house prices and the general cost of living are growing in our region along with the population. On this final Saturday afternoon, the bar is packed. All the goodbyes are hard for Tammy. But she also has reason to celebrate: She found another job. “I’m going to a place called Simply LEDs,” says Wood. “They assemble LED lights." Her new workplace has expanded in recent years, which is one reason why she found a job. Idaho, Colorado and Utah all saw strong economic growth last year, and many businesses are feeling the effects. For the first time in Wood's life, her work will pay for health insurance. So even though her job at Turners was a victim of change in Boise, her new job is also came about because of growth. She’s excited, but also nervous. The number of employed Utahns for February 2018 grew by an estimated 3.2 percent, adding 45,700 non-farm payroll jobs to the economy since February 2017.